The first question is what Manning did. Essentially, he delivered a core dump of classified materials to WikiLeaks. Two questions follow on the first. 1) Did he compromise sources and methods? Without a doubt. 2) Did he put the lives of soldiers in combat at risk? The answer appears to be more or less no, but it's a hedged bet. The most serious offense he was charged with was Aiding the Enemy, but the trial judge acquitted. He was found guilty of violating the Espionage Act, and drew a thirty-five-year sentence, convicted on twenty counts, in all. 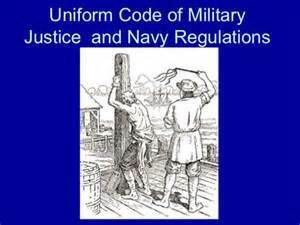 People unfamiliar with the UCMJ---the Universal Code of Military Justice---don't realize how inflexible it is, by design. Its obvious purpose is to enforce discipline in the ranks, both officers and enlisted. But it guarantees equal treatment, and protects the rights of the accused. In other words, the UCMJ is meant to guard against the imposition of arbitrary punishment. You can no longer be flogged for minor infractions, on the word of your captain alone, as was the rule during the Age of Sail. The power of the officers over you is structured, and not a matter of their personal whim. This is known formally as Chain of Command. Are there abuses of the system? Of course. 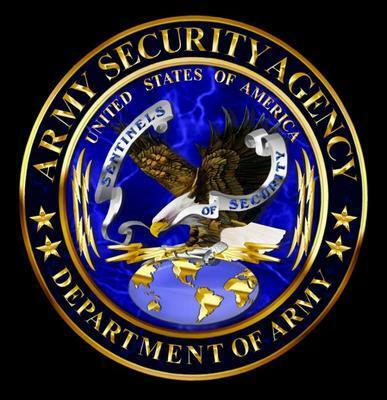 The military is a hierarchal organization, with the strengths and weaknesses that entails, and highly formal. Duty is an obligation, freely chosen, but not a bargaining chip. My own experience of the UCMJ was an Article 15, for Failure to Repair, and it cost me a loss in rank I had to claw back. To explain the vocabulary: an Article 15 is non-judicial punishment, administered by your commanding officer; Failure to Repair means not reporting to a required formation, which is a slap on the wrist compared to Dereliction of Duty; and, for the record, I admitted my guilt. In cases like this, the commanding officer has a certain amount of latitude, and can impose a fine, or reduction in rank, and even revoke your security clearance, but you won't go to jail. That takes a court-martial. What does this have to do with Manning? For one thing, my job was much the same as his, battlefield analysis, even if my war was cold (the Russians and the Warsaw Pact) and his was hot. We worked under similar restrictions, and had access to secure documents and databases. Both of us, presumably, understood the consequences of the unauthorized release of restricted materials. In fact, it remains an article of faith among almost everybody I know who's worked in the spook trade that your lips are forever sealed. Much has been made of Manning's unsuitability for the military, generally, and more specifically for his job description, handling sensitive stuff. Given his behavior patterns, he should have had his clearance pulled, and been relieved. Why didn't this happen? Because they needed warm bodies, and as manifestly unfit for duty as Manning so obviously was, they kept him at this station. The kid was desperately out of his element. His gender-identity issues have surfaced since, but even at the time, he was trapped in a hostile workplace environment, and almost certainly bullied. He was queer in the old-fashioned sense, meaning the odd guy out, an easy target for ridicule. The larger point is, that he tried going through channels. 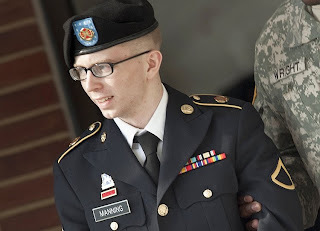 He made his unhappiness known, and although his First Sergeant did try to help him find his feet, nobody bit the bullet and recommended his immediate discharge, not only for Manning's own good, but for the success of the overall mission. This isn't to excuse, in any way, Manning's criminal acts. He violated basic military discipline, and he broke the cardinal rule of the intelligence world. (The question of whether his airing those secrets on the Internet serves some greater good is moot, or at least not the purpose of this post. In the event, I don't buy that defense.) My real disappointment isn't with Manning, anyway. What's instructive about this whole, sorry enterprise is that the chain of command failed a soldier. Square peg in a round hole, Manning was still one of their own, and they betrayed his trust. There's more than enough guilt to go around. Certainly there was a big failure in personnel management at the very least. Like Manning, I too was an intelligence analyst in the army, and I definitely met and worked with a few square pegs during that time. Yet none ever violated their oath and security clearances as he did (at least to my knowledge). He was certainly weak and foolish and it puzzles me as to what he thought he was actually accomplishing by doing what he did. Though his leaks failed to directly endanger troops, or agents in the field, he could not have known that at the time of his actions, and to me, this is damning. In the end, he was lucky, I think, to have only pulled down the sentence he did. Good piece. It's going to take years to sort out what effect Manning's actions really did or didn't have. Meanwhile... I think 30 years ago he'd have been given life; and in 1950 he'd have been shot. As Janice said, a thoughtful and even compassionate take on the case. Thanks, David. People may be afraid to speak up but I like your article. I feel sorry for the boy. I think both Manning and Snowden were trying to do something good under a warring government that's run amuck for the past dozen years. I feel sorry for Manning too--not so much for Snowden--but as an old Air Force guy, I can't imagine leaking classified information. Janice Law said this was a good thoughtful piece. I would agree. It's one that has lingered with me all day, but I feel the view is a bit narrow. It "excuses" unaccepable behavior by blaming the "chain of command" for letting Manning down. People need to understand the chain of command often starts with a 22 year old (if enlisted at 18) sergeant and goes up to 50-60 year old Generals. The 22 year old has four years of experience under his belt while those much senior have 30-35 years of experience in dealing with soldiers. In this instance, the Lieuteant Colonel (Battalion Commander) and his Command Sergeant Major (the senior enlisted advisor in the unit) probably have 40-45 years of experience in dealing with soldier issues between them. They know about round soldiers in square holes. But, they also know that round soldiers enlisted, and were not drafted, into the Army. Manning signed a contract with the U.S. Government (Army). He wasn't drafted. He took an oath to defend the Constitution of the United States and obey those appointed over him. He was told about the UCMJ. He was also told that he felt an order was illegal, he could disobey it. But, he had be willing to endure the results of his disobedience if the order was found to be valid. He was told that if he disagreed with his company chain of command, he could go to the battalion Command Sergeant Major, Brigade Command Sergeant Major, the Division Command Sergeant Major, or the Battalion Commander, the Brigade Commander, or Divison Commander, etc. to resolve his issue. If that didn't work, he could go to the Inspector General. If that didn't provide satisfaction, he could write his Congressman, his Senator, or ever the Commander-in-Chief. In short, Manning had option others than providing Wikileaks his material. In the civilian world, if one signs a contract, it is expected to be honored by both parties. But, when it comes to dealing with the government, it seems that the government is expected take the extra steps to make sure the pegs fit the holes. What is the responsibility of the individual? Our society calls for accountabilty in government, but as citizens we're also accountable. We've a responsibility to live up to our agreements. I don't feel sorry for Manning. He had too many other options to use before he chose to follow the path he did.